We’re proud of this one. Everything went right: Great client, smart brief, ample time, crazy hardware, a ‘brilliant’ CMS, all the latest UX perks. 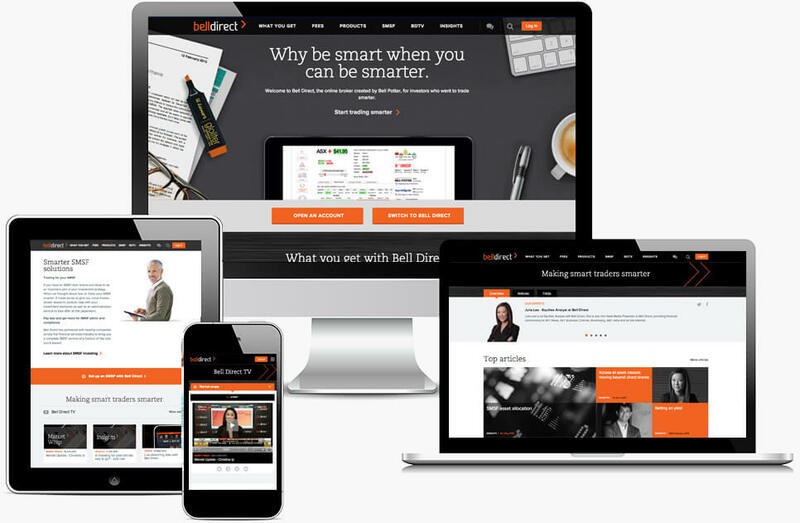 For months Bell Direct had been looking for a suitable team to deliver their new website. Based on our work for AMP, they invited Andrew Boddy Creative and CJWEB to partner on the project. Working together via online project management software, Andrew provided a gorgeous, responsive design which we integrated into a custom-built CMS. The site was then deployed to load-balanced, cloud servers managed by Bell Direct’s Kuala Lumpur based IT team.